Leave a message for Kevin using the form fields below. If you have any questions, please contact us at (212) 269-7800. For general inquiries, email compliance@ingalls.net. 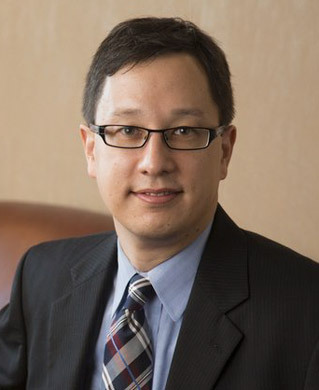 Kevin Oro-Hahn is an analyst and portfolio manager. He joined Ingalls in 2012 after working as a consultant to the firm. Using a value investing philosophy combined with fundamental research, Kevin seeks to identify currently out of favor securities trading at a substantial discount to their intrinsic value. Previously, Kevin was Associate Director of the Heilbrunn Center for Graham & Dodd Investing at Columbia Business School from 2008 to 2011. Prior to that, he spent 12 years as an ordained pastor and campus chaplain in New York City. Kevin is a Chartered Financial Analyst. He earned his B.A. from Drew University and his M.B.A. from Columbia University. Kevin lives in Jersey City, NJ with his wife Tania and two children. He continues to teach a popular M.B.A. class, Applied Value Investing, at Columbia Business School.